The public health conference provides a forum in which people from diverse perspectives can work together to achieve a shared goal of addressing Indiana’s most pressing public health issues. The theme for the 2018 conference is harm reduction, a set of practical strategies and ideas aimed at reducing negative consequences associated with drug use. Harm reduction services and policies are effective, humane, equitable, and life-saving strategies that are vital to any comprehensive response to the opioid epidemic. 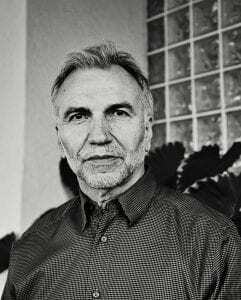 Dr. Tsemberis is a clinical-community psychologist who developed the Housing First model. He serves as President/CEO of the Pathways Housing First Institute and is on the faculty of the Department of Psychiatry, New York Presbyterian Hospital, Columbia University Medical Center. Dr. Tsemberis also serves as Executive Director for the VA-UCLA Center of Excellence for Training and Research on Veterans Homelessness in Los Angeles, and Clinical Director for national Housing First for Youth Program, in Canada. Registration for the Pre-Conference Workshop and the full-day Conference is now open. Due to our generous sponsors, a limited number of student scholarships are available to cover the registration fee to attend the conference. Interested graduate and undergraduate students from ANY university should submit a ONE-page letter of interest via email to Christina Yohanan atcyohanan@iupui.edu with “Student Scholarship Letter” in the subject of the email. The letter should address the following information. Why the applicant wishes to attend? What the applicant wishes to gain from the conference? How attendance will further the applicants career and/or educational goals? Applicants are due by August 27, 2018. Applicants will be informed of the status of their request by August 31, 2018. PLEASE DO NOT REGISTER FOR THE CONFERENCE UNTIL YOU KNOW THE STATUS OF YOUR REQUEST. If you need to make a reservation for a room at the Indianapolis Marriott East, please Book your group rate for Indiana Public Health Conference . To secure the rate of $135 per night, you must book the room before September 17.
Who Plans the Public Health Conference? This conference is being planned by the IUPUI Richard M. Fairbanks School of Public Health, IU School of Public Health – Bloomington, Purdue University –Public Health Graduate program, University of Indianapolis, Indiana Minority Health Coalition, Madison County Health Department, Indiana State Department of Health, Marion County Health Department, Indiana Rural Health Association, Indiana Public Health Association, Overdose Lifeline, IU School of Medicine, Ball State University, Indiana Association of School Nurses, and other partners. The Indiana University School of Medicine designates this live activity for a maximum of 6.75 AMA PRA Category 1 Credits™. Physicians should claim only the credit commensurate with the extent of their participation in the activity. Pending: CHES credits are being sought for this event. Please contact Marcie Memmer at mlmemmer@iu.edu or 317-274-2185.